Aitken Spence Printing and Packaging is Sri Lanka’s premier packaging company with a rich heritage in Printing Services that spans for over 60 years in the industry. Backed by the impressive credentials of the Aitken Spence Group - one of the country’s most valuable blue-chip conglomerates, Aitken Spence’s Printing Services have grown from strength to strength over the decades. 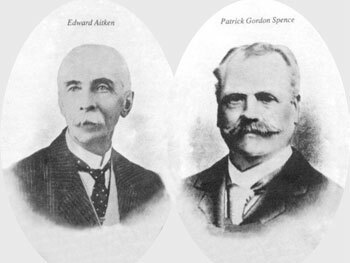 The story of Aitken Spence is one of strength, belief, trusted partnerships and a passion to excel. Offering a comprehensive range of Printing Services and Packaging Solutions for prestigious international brands in the FMCG, tea, confectionery, cosmetics, pharmaceuticals and apparel industries locally and globally, Aitken Spence Printing and Packaging adheres to the highest quality standards, and its pursuit of perfection ensures a high degree of environmentally-friendly processes in all aspects of its operations. The company is the definitive printing and packaging partner for discerning clients! The story of the Aitken Spence group is one of strength, belief, trusted partnerships, and a passion to excel. The way We have always DONE.! To elevate brands and ideas by being a service driven, value oriented, innovative and sustainable printing and packaging solution partner. Create value for customers and stakeholders alike by continuously striving for excellence in Talent Management, Cutting-edge Technology and Quality Processes to provide efficient and effective sustainable solutions. We will achieve our vision by striving to improve our standards in printing so that we are able to continue to exceed expectations of our clients. We strive everyday to improve our standards in printing so that we are able to continue to satisfy our clients who have been faithful to us over the decades while also opening up to new clients. Established in 1868 by two British entrepreneurs Thomas Clark and Patrick Gordon Spence as formal partnership Aitken Spence PLC today is a leading conglomerate with substantial investments in Hotels, Travel, Maritime Services, Logistic Solutions, Plantations, Insurance, Financial Services, IT, Printing and Garments with a global foot print. Aitken Spence Printing is fully owned subsidiary of Aitken Spence PLC, its irrepressible spirit ensured the company grew beyond borders, swiftly becoming a force to be reckoned with in the printing and packaging industry. 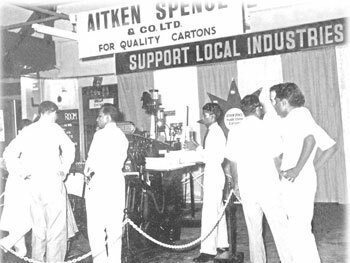 1950s – Commenced operations as an in-house print division of Clarke & Spence & Company located in Galle. 2006 1st Six color 40 inch press installed in Sri Lanka at our Factory. 2010 fully automated bindry line installed. 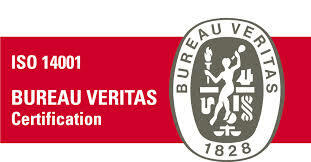 2011 ISO 9001:2008 certification obtained. 2012 Carbon Neutral statues Achieved. 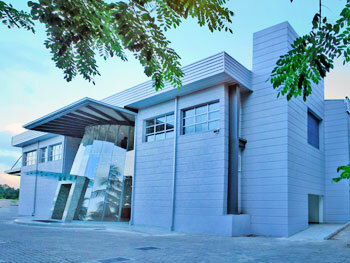 2012 Relocated to state of the art Purpose built LEED certified factory in Mavaramandiya, Siyambalape, Sri Lanka. 2012 Six Color press installed in the new Facility. Since our humble beginnings six decades ago, in the southern city of Galle, Aitken Spence Printing has become synonymous with excellence in the print industry, supported by decades-long partnerships with leading brands and companies both local and international. When it comes to offering service and quality of the highest international standards, there really is only one name that resonates today - Aitken Spence Printing & Packaging. Aitken Spence Printing & Packaging offers state of art technology innovation at extremely competitive prices, while our lead times are extremely short, thereby delivering the end product much faster than our competitors. Our new state of the art 100,000 square foot complex situated in Mawaramandiya is one of the best laid out factories in the island. Since we are conscious of the environmental impact of our operations, the factory is a LEED Gold Certified factory that has been carbon foot printed, while practicing numerous sustainable initiatives. Our parent company, Aitken Spence is a public quoted company and one of the largest and most diversified conglomerates in the island with a presence in Sri Lanka and abroad. Our credentials are what render us a force to be reckoned with. 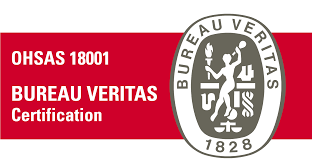 All our expertise - which begins from our highly skilled staff to our state of the art machinery - results in our clients being provided with excellence, thereby gaining their trust and confidence. Managing Director Mr. Prasanna Karunathilake joined the then Printing Department of Aitken Spence & Co. Ltd., as a Trainee Production Executive in 1980. Whilst at Aitken Spence he pursued his higher studies in Printing, and obtained his Diploma in Printing Technology and Management at the prestigious Sri Lanka Institute of Printing, and is today a fellow of the Institute. 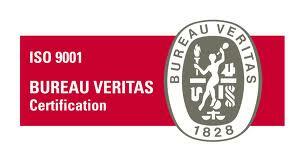 On completion of his Diploma, he was promoted as Senior Executive and in the year 1988 as Production Manager. In 1993 he left the company, but continued to serve the industry in a Senior Managerial capacity for a period of 17 years. During this time he proceeded to the Netherlands where he underwent advanced training in Printing Technology & Didactics at the Netherlands INGRIN Institute. Thereafter he migrated to the USA, and on his return in 2010, rejoined the Company as the Managing Director of Aitken Spence Printing (Pvt.) Ltd. 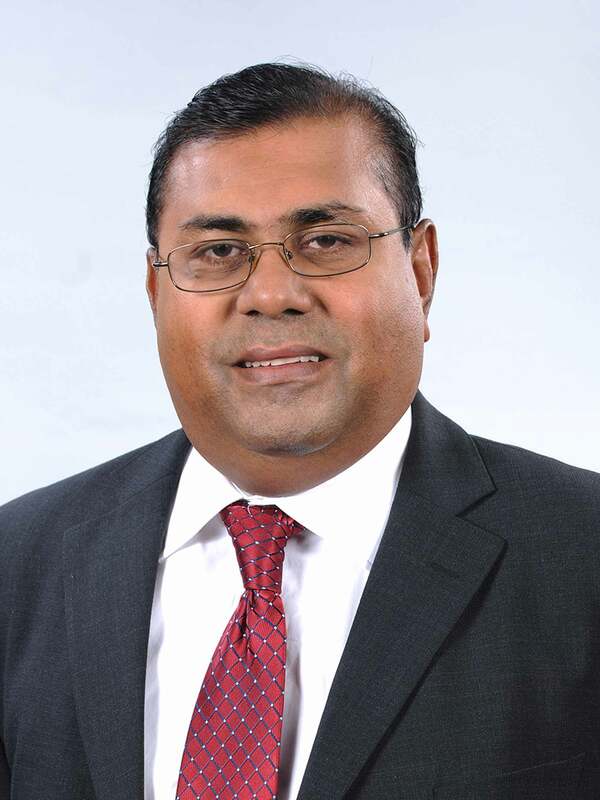 In September 2012, he was promoted as a Director of the Aitken Spence Group. He is a Director of the INGRIN Institute of Printing & Graphics Sri Lanka, and serves the Institute as a Lecturer as well. 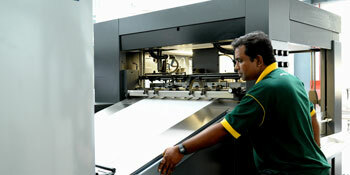 He is also a Lecturer of the Sri Lanka Institute of Printing. He is currently serving the Export Development Board in the capacity of adviser for the Printing and Packaging Industry in Sri Lanka, and is also an advisor on the Wages Board for the Printing Trade. Diploma Holder from Sri Lanka Institute of Printing (SLIOP), West Herts College (UK) and overseas in Commercial Printing, Packaging and Label industries. 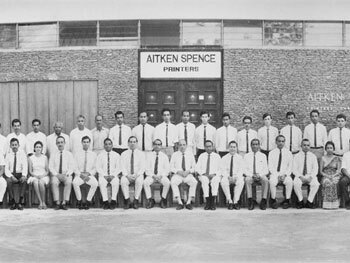 Started the career as a Trainee Production Executive of Aitken Spence Printing in 1988. Has worked in the senior managerial positions for over 8 years. 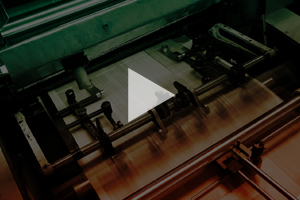 Cutting edge machinery and equipment that meets global standards in the printing industry provides us the advantage to manufacture highest quality printed materials. The best brands in the world are represented inside our production floor. Machines are used to achieve the best in two major segments in our marketing mix - packaging & books. We added a brand new LS640 Komori to our fleet recently and another six colour Heidelberg CD102 in July 2012. 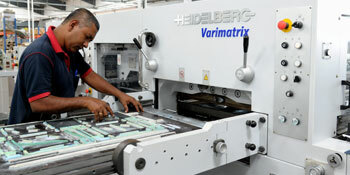 This is in addition to the five colour Heidelberg we already have in our fleet. These machines have options which help us minimize the down time and they also have required value additions. In order to achieve consistent quality levels, our fully-fledged maintenance department carries out required periodic servicing, which helps us keep these machines in mint condition. Heidelberg SM102-Five color X Two presses. Color Management tools - Xrite Spectroeye & Mellow Color. Fully Automated book / Magazine binding equipment with PUR / EVA perfect Binding.